Send, create, and automate emails with ease. Increase conversion rates like never before. No more struggles with formatting or testing. Our simple email creator features click and drop custom variables and live preview to create the perfect email for your customers. Create unlimited Amazon email templates for any specific purpose. Set campaigns to send when, who, and what you want. 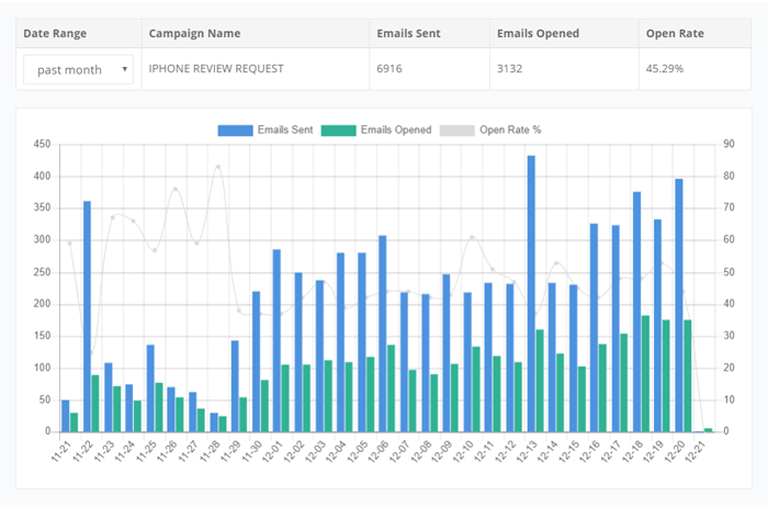 Manage and view statistics on all templates and campaigns to identify which messages work best. Increase conversion rates by tracking click to open rates and A/B test to deliver the right message at the right time, send different versions of your campaign to different segments of your audience, and find out which message works best.